Seeing as it's April 27th, I'm pretty late to the ballgame here. 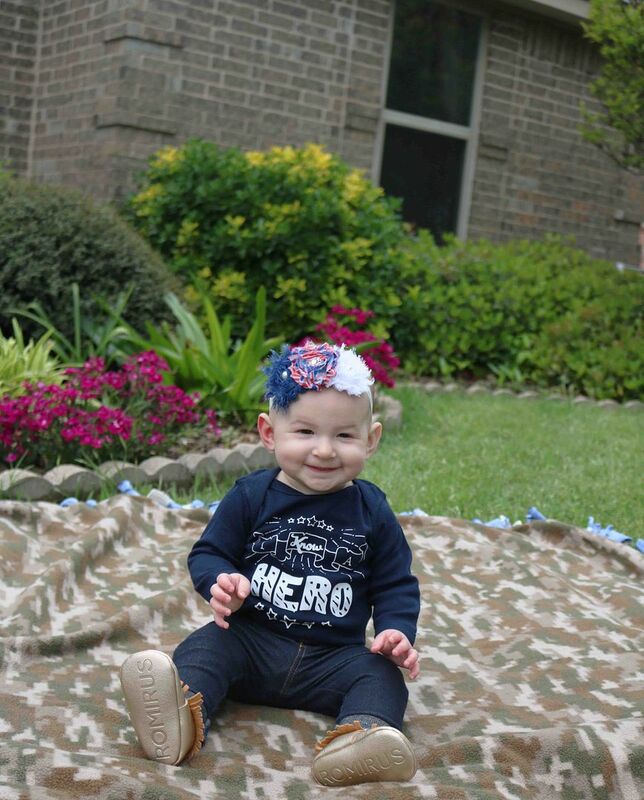 That's because I debated all through April whether or not I should post about the Month of the Military Child... seeing as how Annabelle is only 7.5 months old. Ultimately, I obviously decided it was okay. 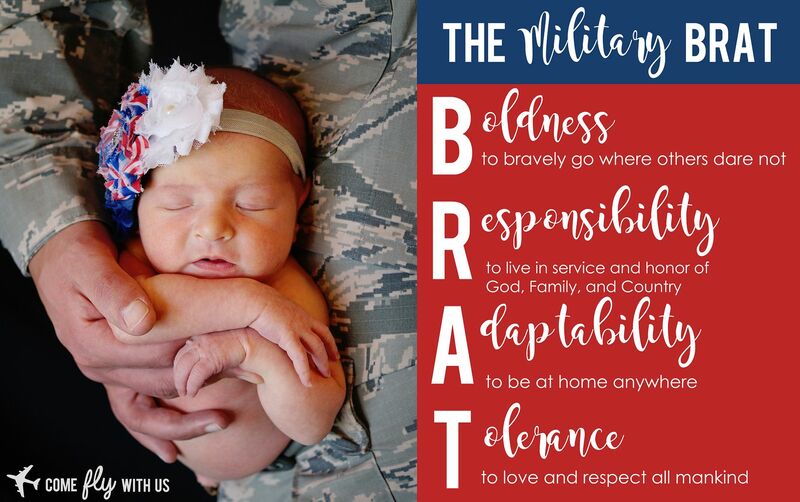 She IS a military child. And she will be for a long, long time. Her daddy has a ten year commitment to the Air Force once he finished pilot training, which means the earliest he could get out would be 2027... making Annabelle 12 years old then. 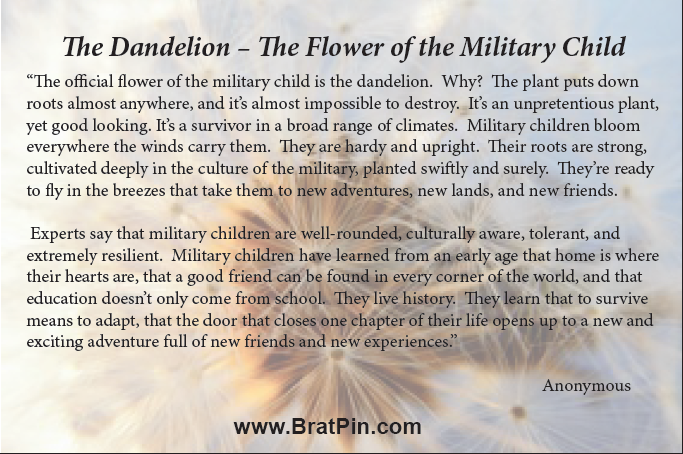 By age 12, she will have experienced military brat life in several different locations. She will have moved across the country multiple times, if not across the world. She will have made friends and then had to leave them. She will have friends move away from her. 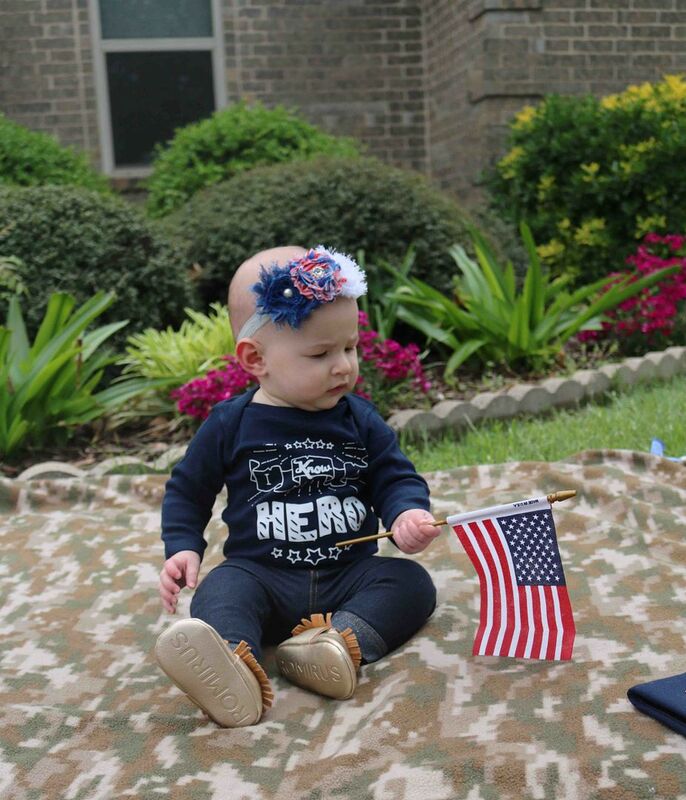 She will see her dad sometimes... and then other times, he will be gone on a TDY, training, or deployment. She will have me as a single parent sometimes. She will suffer, undoubtedly, at some point because there just won't be enough of me to go around while her dad is gone. But she will thrive. She will adapt quickly to new schools and learn how to best make new friends. She will utilize the technology that we are SO lucky to have in this day and age to stay in contact with her good friends after they (or we) PCS. She will never take time with her family for granted because she'll grow up knowing that sometimes, her dad just won't be able to be there. She will spend birthdays and holidays without him some years. She will live in places she doesn't enjoy... but she will also live in some fabulous locations she loves. 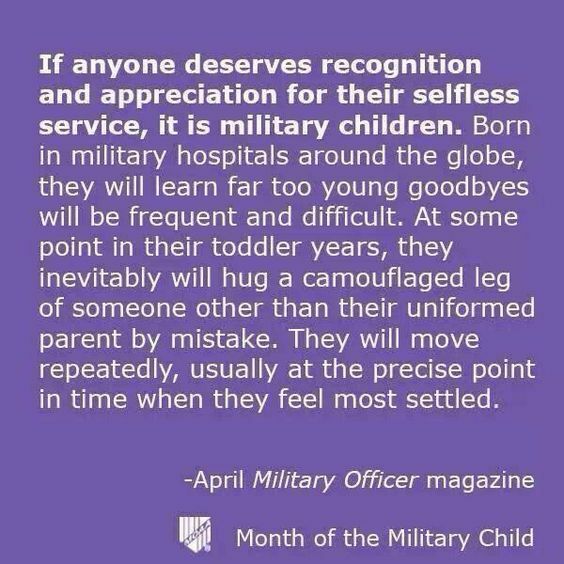 I was never around the military as a child. I didn't know anyone who served. I didn't grow up near a base. I knew NOTHING about military life. When my parents decided to move when I was in 8th grade, I was LIVID. I would have to switch schools and be away from my friends? I think I threw several fits that must have worked because we stayed in the area but still moved. That itself was tough enough for me, and I didn't even have to change schools. When I was pregnant, I thought a lot about the lifestyle my baby would grow up having. But after reading so many other blogs about this topic, especially this month thanks to the Month of the Military Child, I'm feeling more confident. Annabelle will be just fine.